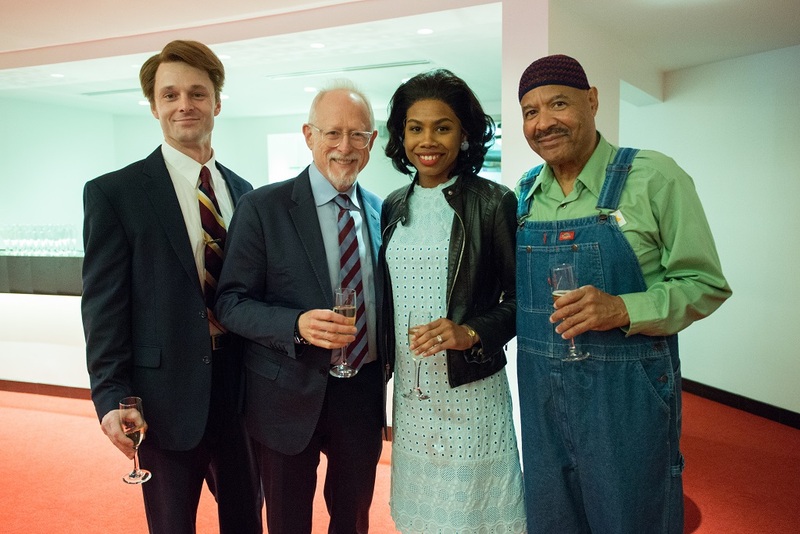 Nearly 200 Alley Theatre CenterStage donors and guests celebrated the start to the Hubbard Theatre season during Opening Night of Robert Schenkkan’s The Great Society. The play’s triumphant first opening night arrives after the devastation of the Neuhaus Theatre during Hurricane Harvey. Prior to the show, guests enjoyed a dinner catered by City Kitchen in the Texas Room. Among the guests who joined the celebration were The Great Society playwright Robert Schenkkan, Dallas Theater Center’s Artistic Director and director of The Great Society, Kevin Moriarty, Alley Board President Butch Mach, former Houston Mayor Bill White, Margaret Alkek Williams, Lynn Wyatt, and Carol and Michael Linn. Alley Theatre Managing Director Dean Gladden welcomed guests to the Opening Night celebration and shared his enthusiasm for the evening, the timely relevance of the play, and tremendous appreciation for the ongoing support. Board President Butch Mach also spoke, thanking donors and guests and introduced Kevin Moriarty who talked about returning to the Alley and the collaboration between his theatre, Dallas Theater Center, and the Alley in producing the play. Following the play, guests were treated to a champagne toast by Dean Gladden and Kevin Moriarty in the newly restored Neuhaus Theatre lobby, where everyone mingled with the cast to celebrate another fantastic opening.